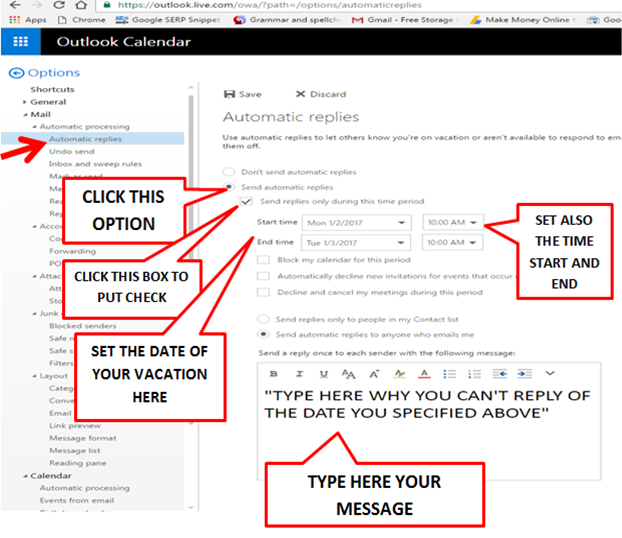 Email Signature and Auto or automatic replies are one of the tools you need in your Outlook Account. 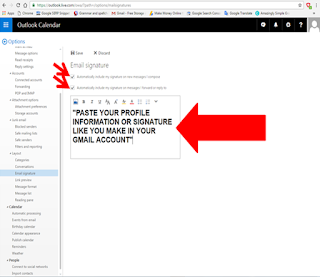 The outlook is an email account design by Microsoft for us, it's the replacement of the Hotmail that was before by the Microsoft email users. Therefore, this new Outlook email or Outlook.com is a new interface and equip with a new interface with new menus and tools with a different new application for your message satisfaction. So therefore email signature and automatic replies are one of the tools built-in in your outlook account that you need to setup. 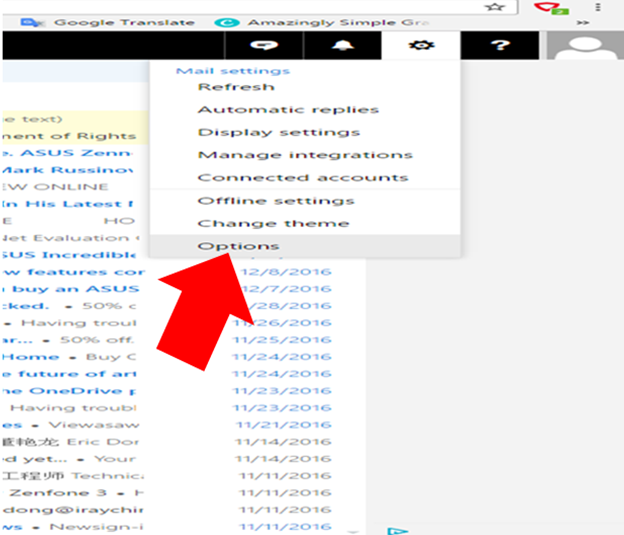 This tool will make your email account become professional look and easy to read. 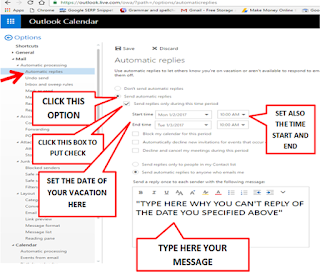 And make your email receiver become confident in the message he/she will receive in here inbox. 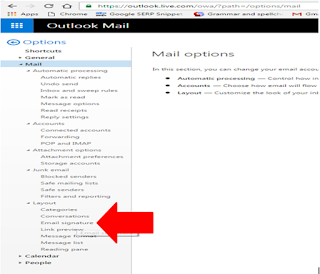 Open up your Outlook email account. After you type it completely, find the save button above and click it to save your settings. After you create your email signature, set also the automatic replies using the same window you use. After you did it all, find the save button above and click it to save your settings. After you finish this all settings, you need also to edit your profile settings, like your phone numbers to verify that you own the account you created.